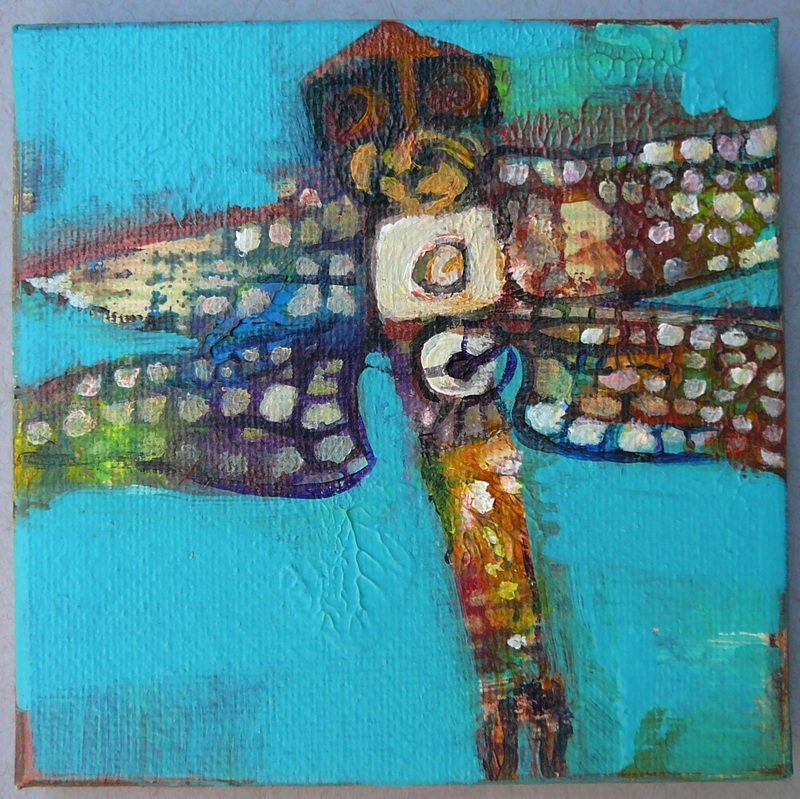 Today I am posting a close up of my ‘Dragonfly World’ painting and an image of another recently finished dragonfly piece, ‘Beaded Dragonfly on Blue’. The images are deceptive in that they are different sizes (10″ sq vs 4″ sq) but I like how they look together. 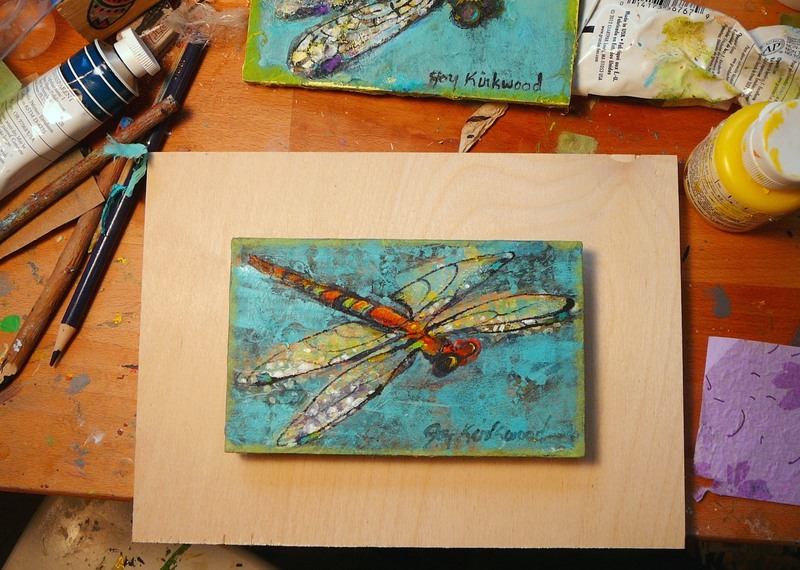 My dragonfly paintings are taking on a life of their own and are becoming bold in colour and stained glass like in their appearance. I like this shift in style. It starts with lots of random colours spread over the canvas and then painting the dragonflies on top while letting some of the original bright colours work their way through. 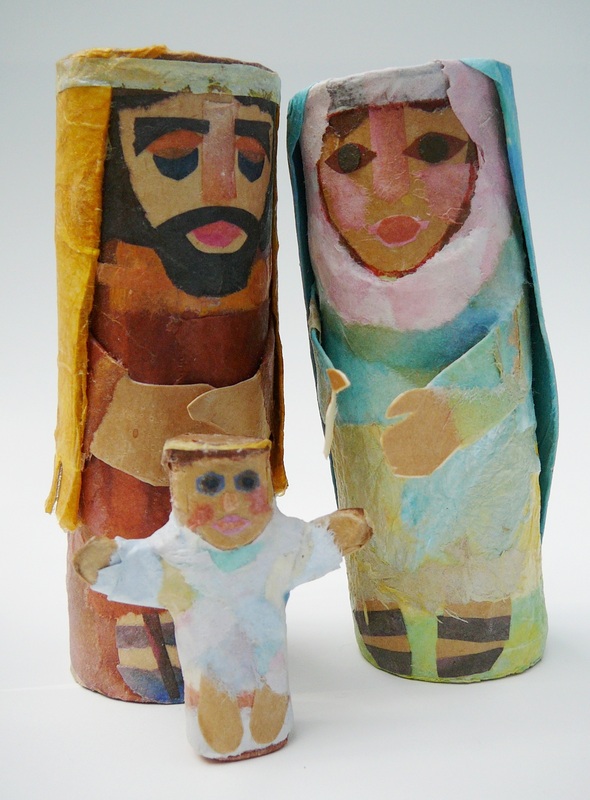 I think it’s a style that could work on any scale and I am toying with the idea of a wall sized piece – which would be a real departure for me in size. 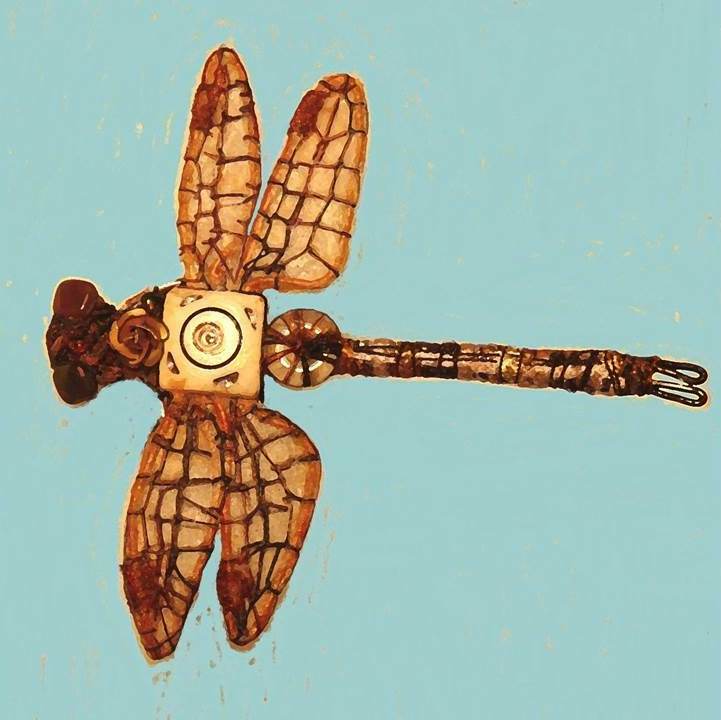 Protodonta (dragonfly ancestor) were huge in the Palaeozoic period with wingspans up to 28″ across so having paintings in the same scale or bigger could be interesting. 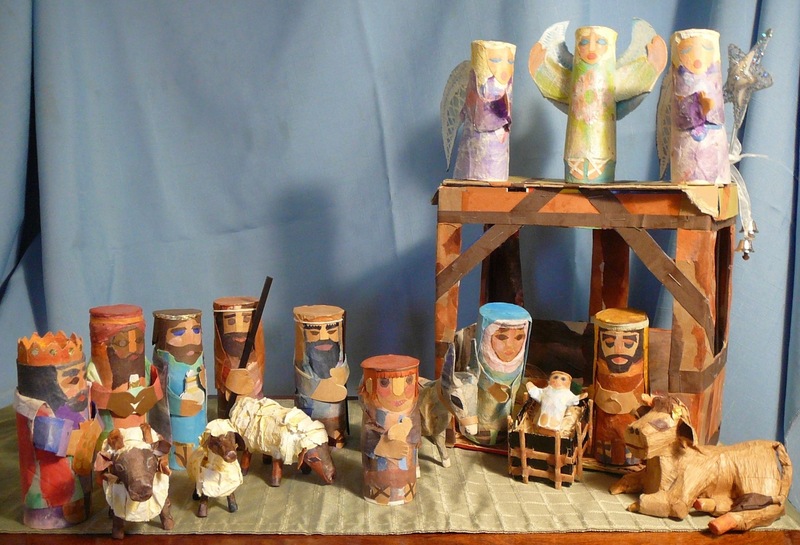 I ‘finished’ (are they ever finished?) 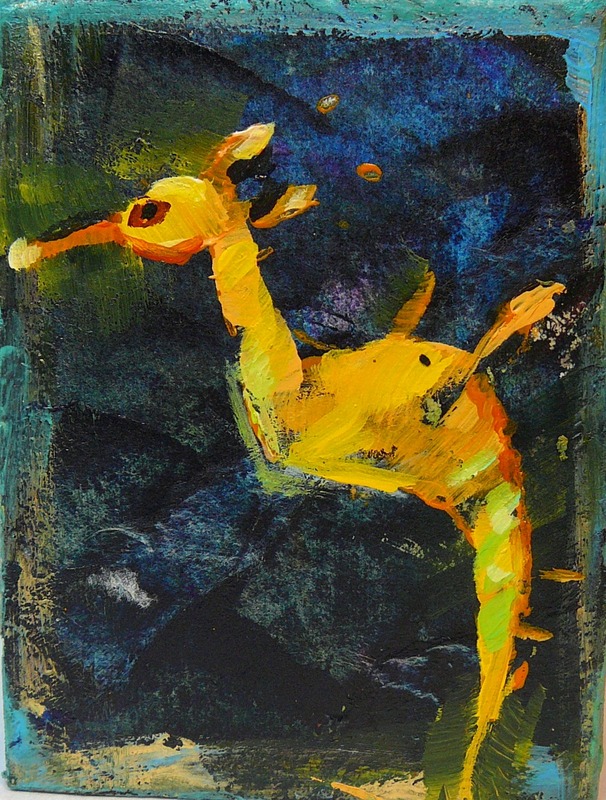 a 10″ X 10″ acrylic painting over the weekend. 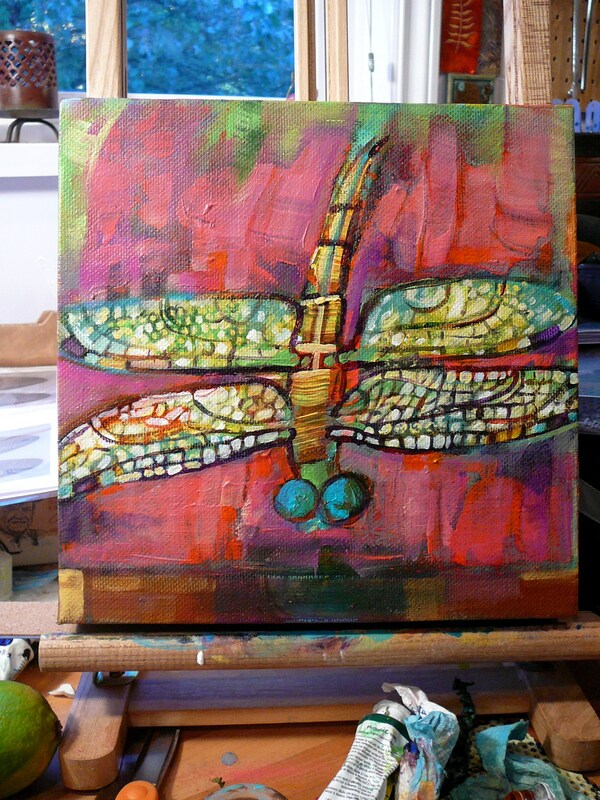 Here is a picture of my ‘Dragonfly World’ painting; still on the easel in the studio. 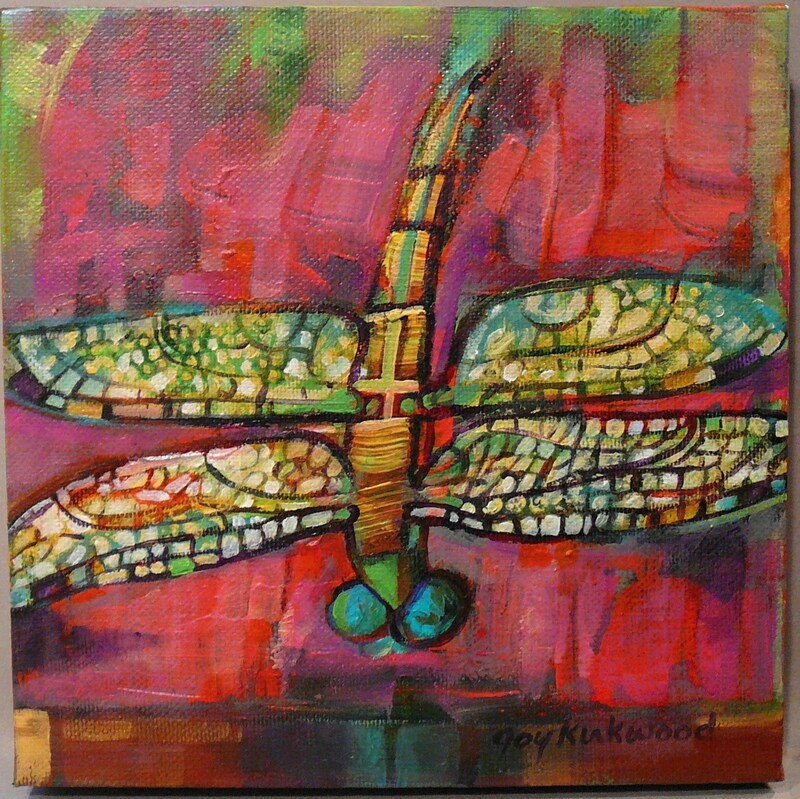 A lot of paintings of dragonflies tend to be lyrical and soft and here is mine; in a dive-bomber position with bright, garish colours all around and in general a deep intensity about it instead of the peacefulness, beauty, light, and joy that many associate with the dragonfly. 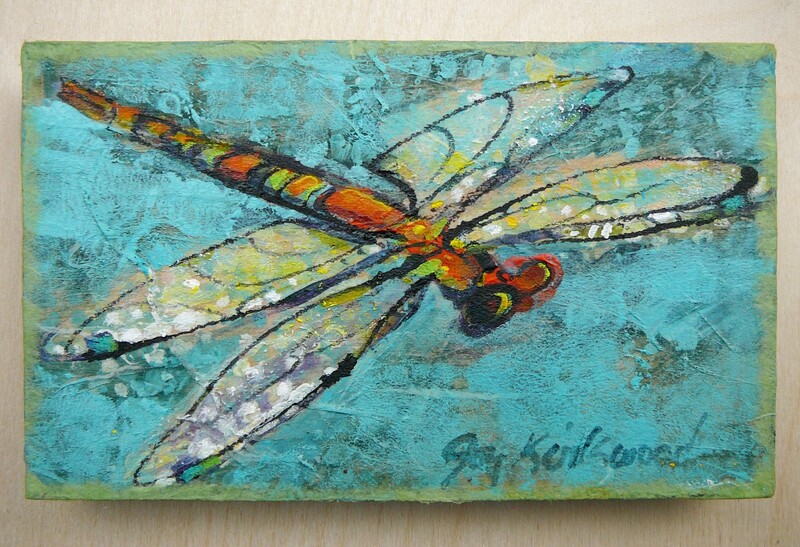 There are moments where dragonflies are at rest but that is only half the story. A perfunctory perusal of the scientific sites on the internet show that first and foremost, a dragonfly is a first class predator. They are extremely adept at capturing prey and have a 95% success rate when hunting. They know what they are after and how to get it. Another aspect of dragonflies I am in awe of is their longevity and adaptability to the world around them. Their ancestors, called Protodonta, were some of the first winged insects on the earth around 300 million years ago. 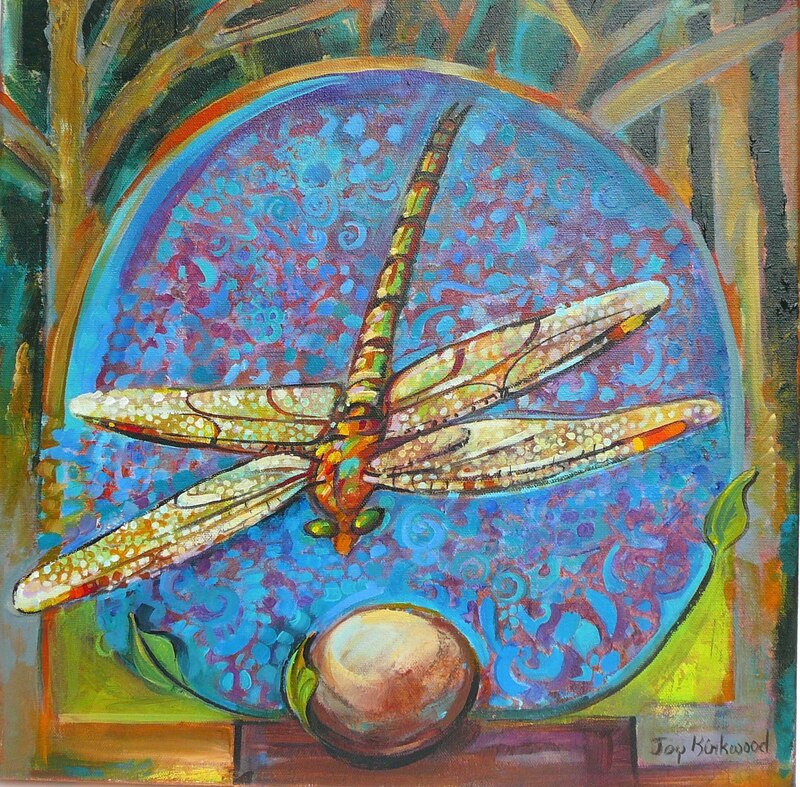 With all of this scientific information in mind I feel the strength and passion in this painting captures something of the reality the dragonfly inhabits. How would they see their world? These are some of the thoughts that made their way into my mind as I worked and ultimately effected the outcome of the painting. 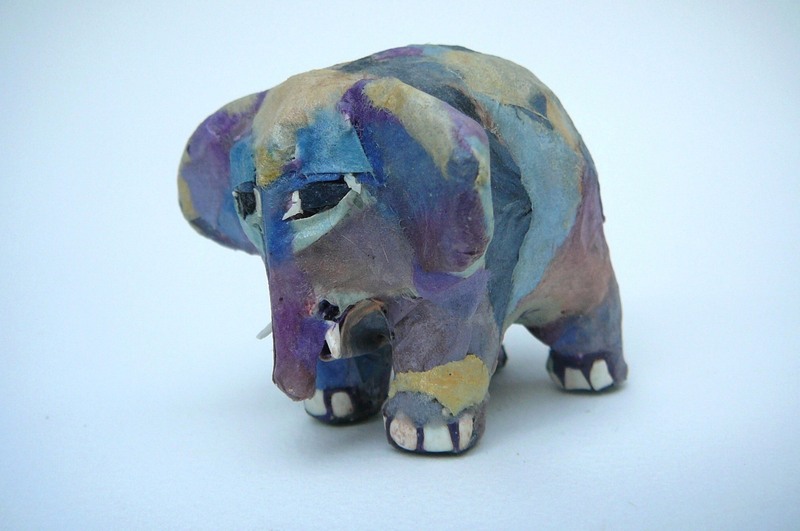 It is time again for Place des Arts’ Annual Teacher & Staff Show Art Feats, from September 5-October 5 with the opening reception from 7pm-9pm on Thursday, September 12, 2013. 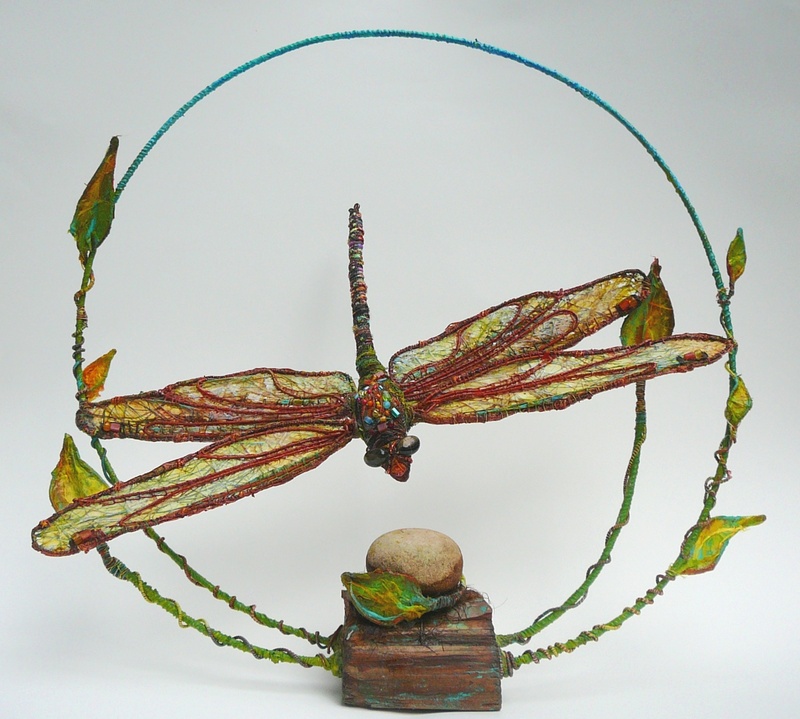 For this exhibit I created a mixed-media, 3D dragonfly inside a circular shape and a painting in response to the sculpture. Pairing work is a technique that works well for me.